Hi guys, it’s me, that girl katie, This is another Cricut Design Space Star challenge project post. My team, Lucky #13 decided on a floral theme. I have always wanted to try making paper flowers but since Lia Griffith has beautifully mastered it, I thought I would try something else. I did make her Hydrangeas to style with my vase and candles. I hope you have time to checkout the designs these talented ladies produced this month. P.S. Cricut has just announced the second phase of the Cricut – I MADE IT contest and this time they’re awarding one winner their own project line to be sold in Cricut Design Space as well as featured on Cricut. I was compensated with a Cricut Explore but all projects, ideas and opinions are all mine! Thanks to Cricut for hosting the Cricut Design Space Star! 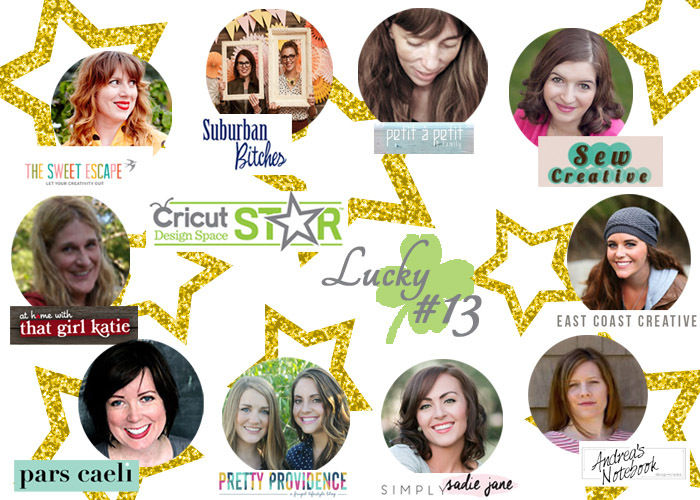 Stay tuned for more projects from Team Lucky #13 during Cricut Design Space Star.